At a trade press conference organised by the industry's expert association EPEE, voice of the European HVACR Industry, Marios Avraamides, EU Commission, DG Climate-Action, gave his view on the future of HFCs. When asked about the upcoming review of the F-Gas Regulation , Mr. Avraamides highlighted the link between the EU's 20% GHG reduction target, the current HCFC phase-out and HFCs. He said: "The European Union does have to deal with a 20% GHG reduction target which is set for 2020, and will need to take this target into account in view of the review. 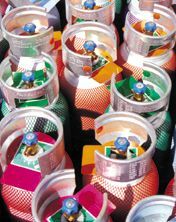 The Commission believes that the accelerated phase-out of HCFCs would potentially lead to a large increase in HFC use. Therefore, this needs to be addressed."